I recently used a few vacation days. The original idea was to go on an extended weekend getaway. Plans fell through, but I should add that it was without any regret. Although I would have welcomed a change in scenery I also thought about all the things I could do free from the shackles of work. And I thought, and I thought some more. And I got very familiar with Evernote, and didn't just make regular notes, but fancy notes. 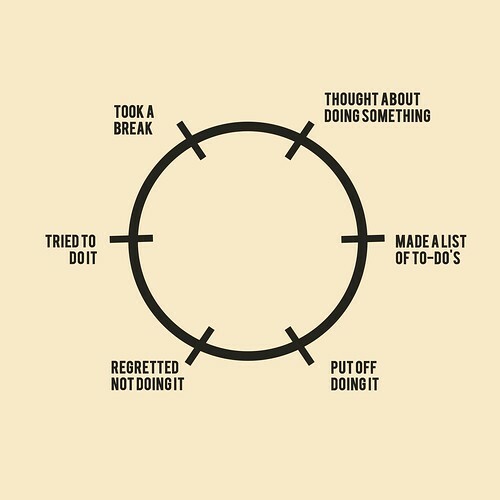 The whole process only makes you feel slightly better about not actually getting anything done by the way. So that happened, and nothing happened. My accomplishments were in spending a little too much time giving myself mental lashings for having "doer's block" (it truly is like being stuck in mud -- you get angry and a little panicky), and feeding and dressing myself. Yay for a shining a dim light on achievements in lameness.